Campbell Campbell Edwards & Conroy, PC’s Diversity Committee Hosts Panel with Exponent Discussing Bias and Challenges Experienced by Experts from Minority Groups – Campbell Conroy & O'Neil, P.C. 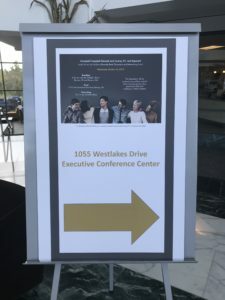 Campbell Campbell Edwards & Conroy’s Diversity Committee co-hosted a panel discussion with Exponent’s MEGA (Minority Engagement Growth and Advancement) and POWER (Progress Ownership Women Enrichment Reward) Groups. 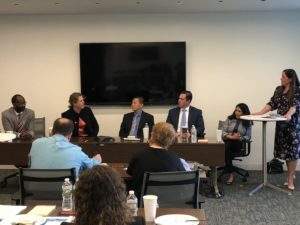 The event was held live in CCE&C’s Berwyn office, and simulcast in CCE&C’s Boston office and Exponent’s Philadelphia office. 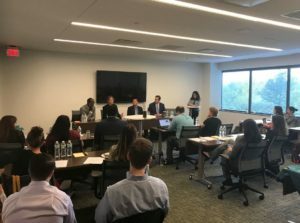 Close to 60 people gathered for a morning of open dialogue centered around how experts from minority groups may experience bias and challenges in their careers. CCE&C Member and Diversity Committee Co-Chair Lynne Ingram and Exponent professional Marta Villarraga moderated the event, and Exponent professionals Chimba Mkandawire, Maureen Reitman, Kevin Ong, and William Kane participated as panelists, sharing their personal experiences with times that they were included and excluded, due to either their race or gender. From left to right: Panelists Chimba Mkandawire, Maureen Reitman, Kevin Ong, and William Kane, and Moderator Marta Villarraga. 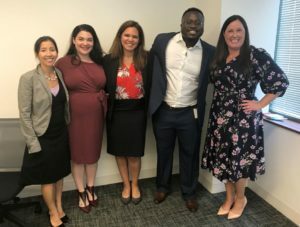 From left to right: CCE&C Member and Diversity Committee Co-Chair Katherine Wang, Exponent professionals Jessica Isaacs, Stephanie Pasquesi, and Mathieu Davis, and CCE&C Member and Diversity Committee Co-Chair Lynne Ingram. 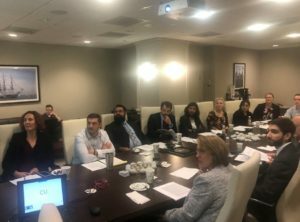 Many months of collaborative effort by this group and others resulted in the October 10, 2018 Diversity Panel with nearly 60 attendees.